BMW X3 Series is a Sports Activity Vehicle (SAV) which has won the hearts of many car lovers in India. Its sleek exteriors, spacious interiors, safety features and state-of-the-art technology being the highlights of the car. Appearance: BMW X3 Series is available in various beautiful colors – Titanium Silver, Platinum Bronze, Silver Grey, Alpine White, Black Sapphire and Monaco Blue. The frontage consists of body colored front bumper, double kidney shaped radiator grille, fog lights and broad headlamps. The rear comprises of taillights cluster. Comfort: BMW X3 Series has many comfort features. The car has elevated seats with lumbar support, providing comfort for the driver as well as passengers. BMW X3 Series also has Dual Panel Panoramic Moonroof for extra comfort. The car has new jacks to play additional music formats like MP3 and IPODs. Safety: BMW X3 Series has various safety features for the protection of the occupants. The car is fitted with airbag system. The standard safety features include Cornering Brake Control (CBC), Dynamic Traction Control (DTC) and Hill Descent Control (HDC). Safety belts of the car are fitted with force limiters and tensioners. Rear seats are fitted with headrests and automatic seatbelts. Engine: BMW X3 Series comes in two petrol options. 3.0si model has DOHC, 3.0 Liter gasoline engine, which propels a power of 260 hp at 6600 rpm and a peak torque of 225 Nm at 2750 rpm. 2.5si model has 2.5 L petrol engine that churns a power of 218 PS at 6500 rpm and a maximum torque of 250 Nm at 2750 – 4250 rpm. Price: BMW X3 Series comes in two models. The prices of both the models are specified below (taking Mumbai as the base price location). 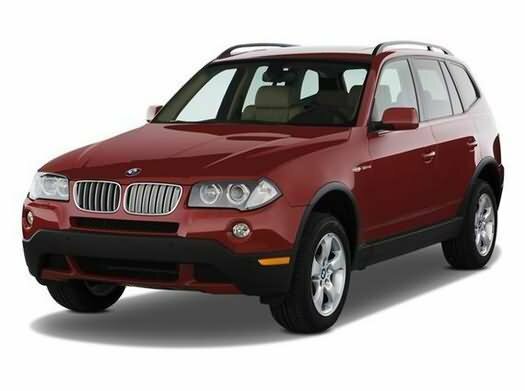 BMW X3 2.5si – Rs.41,80,000. BMW X3 3.0si – Rs.27,00,000. However, the prices specified are just approximate prices which exclude tax, registration, insurance and cost of accessories.